Just one day after International Women’s Day, the German Australian Business Council was privileged to host a members-only visit of the Aesop store in Frankfurt. 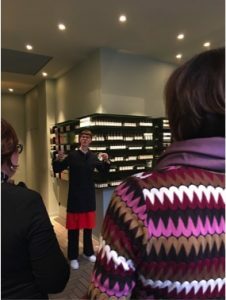 Our Aesop hosts, Edna and Juliana, shared the fascinating story of Dennis Paphitis who launched the business from his former Armadale (Victoria) hair salon in 1987. 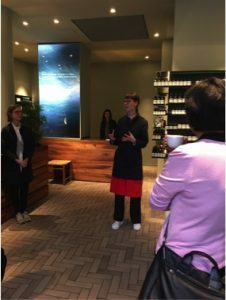 Its products now extend to body and skin care; and the business has expanded overseas to over 40 countries with 11 stores in Germany alone. 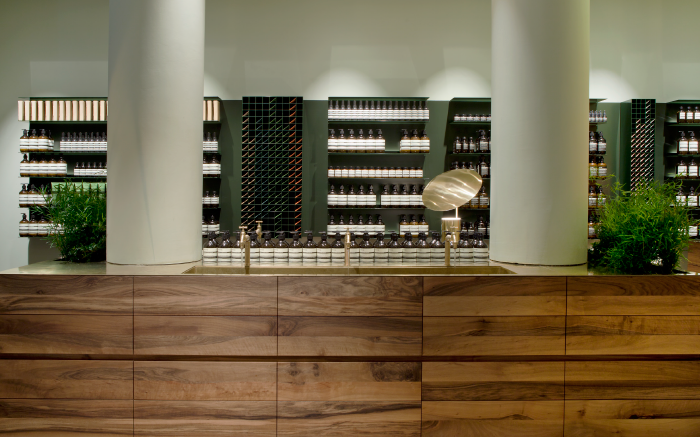 Aesop, which means “storyteller” in Greek is a fitting name for the brand as every store has a unique story. The Frankfurt signature store was created in collaboration with the Philipp Mainzer Office for Architecture and Design, taking for its primary inspirations the city’s Modernist roots and cultural heritage. The store interior arrangement also alludes to the Die Frankfurter Küche – the 1920s prototype for kitchens prevalent in the West, first used in public housing project Das Neue Frankfurt. 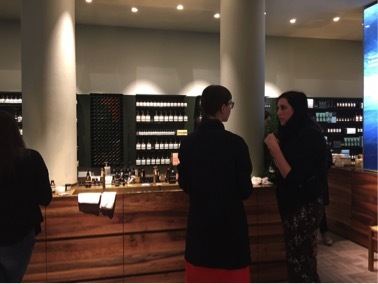 The store tour was followed by personal skin consultations by Aesop and attendees went away with goodie bags courtesy of Aesop.